Should the technical posture of this weekly chart continue to firm up, SPG will likely rally up to at least the 171.40ish level in the coming months. 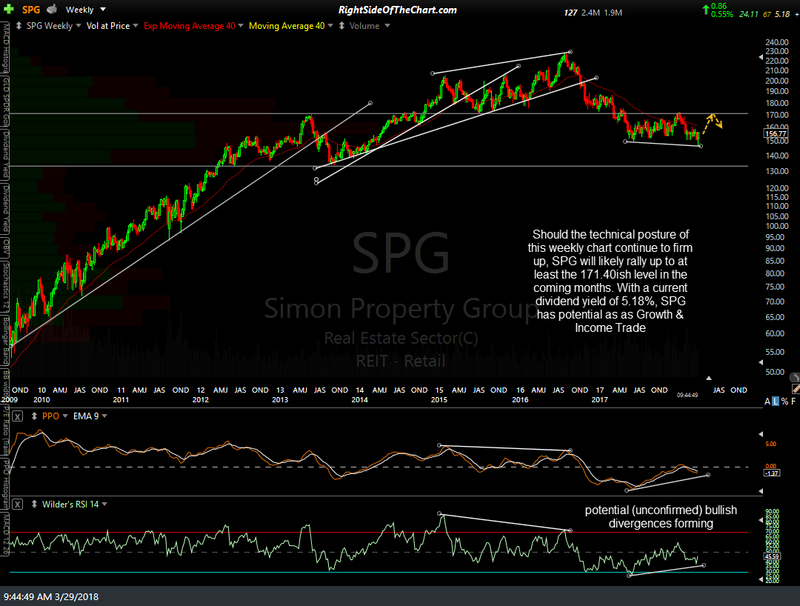 With a current dividend yield of 5.18%, SPG has potential as as Growth & Income Trade idea. 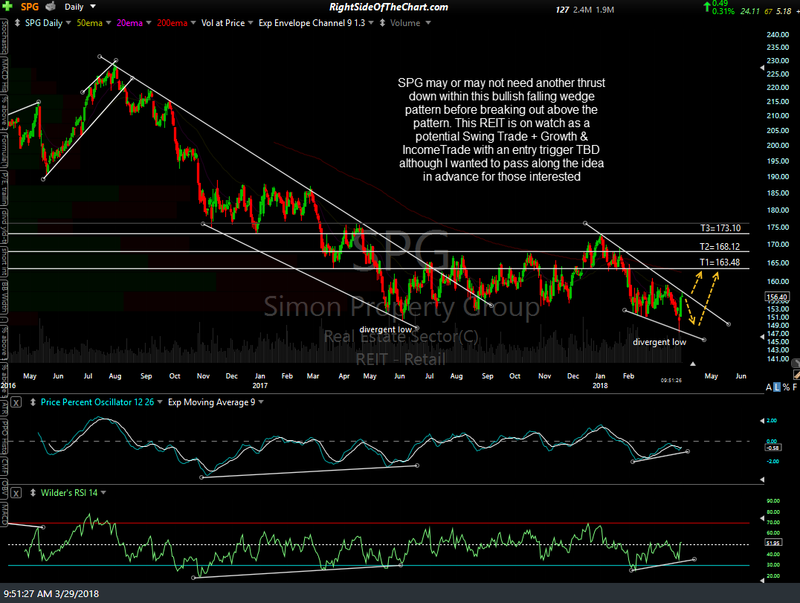 Note: In the previous post on the CVS trade setup, the weekly chart was not included when the post was sent by email. It has since been added to that post & can be view on the site.